The American Legislative Exchange Council (ALEC) was established in September 1973, state legislators, including then Illinois State Rep. Henry Hyde, conservative activist Paul Weyrich, and Lou Barnett, a veteran of then Gov. Ronald Reagan’s 1968 presidential campaign, together with a handful of others, launched the American Legislative Exchange Council. Among those who were involved with ALEC in its formative years were: Robert Kasten and Tommy Thompson of Wisconsin; John Engler of Michigan; Terry Branstad of Iowa, and John Kasich of Ohio, all of whom moved on to become governors or members of Congress. Congressional members who were active during this same period included Senators John Buckley of New York and Jesse Helms of North Carolina, and Congressmen Phil Crane of Illinois and Jack Kemp of New York. The concept of ALEC task forces dates back to the early days of the first Reagan administration when, in 1981, the President formed a national Task Force on Federalism, which was headed by U.S. Senator Paul Laxalt of Nevada. Also on the President’s Task Force was ALEC National Chairman Tom Stivers of Idaho. ALEC has done most of its treachery in the individual states' legislatures now touting a membership of over 2000 state legislators, mainly Republican. 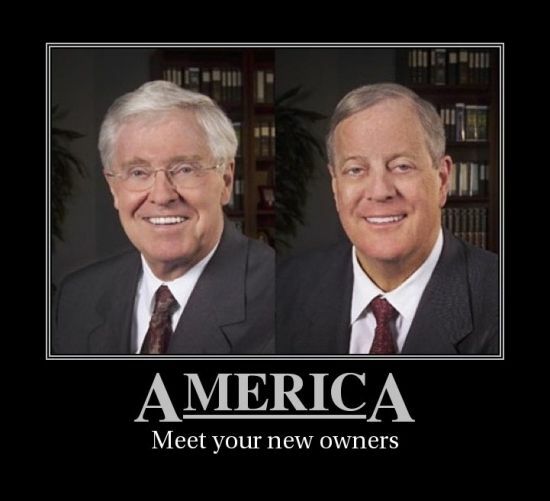 The Koch brothers, Charles and David, have been a major contributor to this organization. ALEC, through the Koch brothers, David and Richard, have bought legislators for the past four decades, thus making our elected officials on the same level as ladies of the night who rent themselves for services rendered. These members of the "Lucky Sperm Club" are completing what their father, Fred, a co-founder of the John Birch Society, set up years ago. They have been exerting their wealth on destroying democracy in stealth mode. Recently, however, they have been outed and are now attempting to distance themselves from the political "whores" they paid to carry out their desires. Had they not been born into wealth they may well be among those on the food stamps they are having their bought and paid for working hard at taking away from those in need.